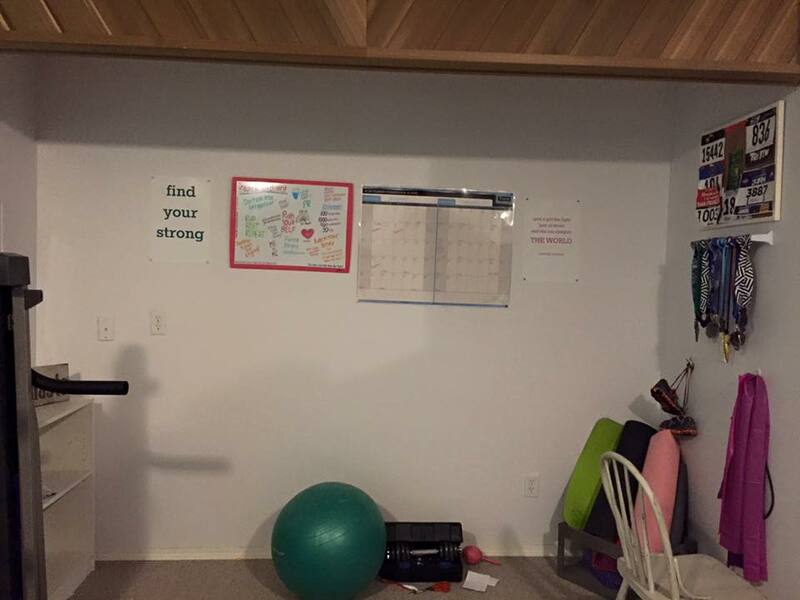 Yesterday's post showed that I painted over the awful motivational canvases I had hanging in my basement workout area for far too long. Today I show you with how my workout area looks now. Here is an up close look at my motivational wall. i hope to add a few more posters with perhaps more colour hahaha. The calendar keeps track of the workouts I have done so far and then it has a schedule of the runs that I need to do coming up. I got this idea from my bootcamp instructor Shannon who also does my training programs for my runs. 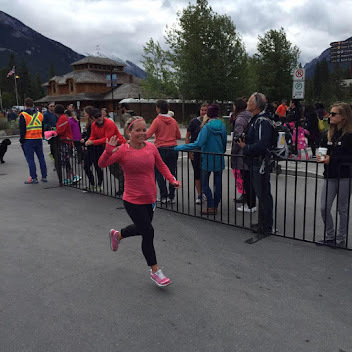 I am running a 30K race at the end of April and I have never ever ran that distance so I need to see in advance my runs. Well I don't really need to but I find it helps. 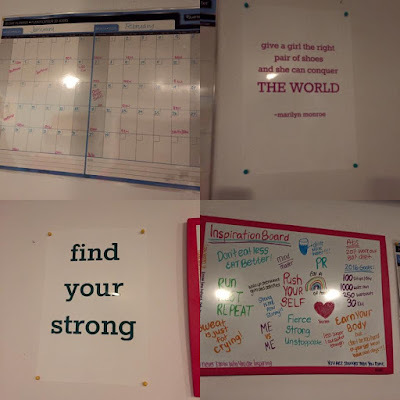 The motivational board I found on pinterest and I have attempted these before and but this one I really worked hard on and it's right in front of me when I run so it keeps me going. The quote on the bottom left is one that I love and I use that hashtag a lot on Instagram. I think it is one that you anyone can use in any situation. The top right is probably one that means more to me then any other quote out there and you can read about it here: Give A Girl A Pair Of Shoes. 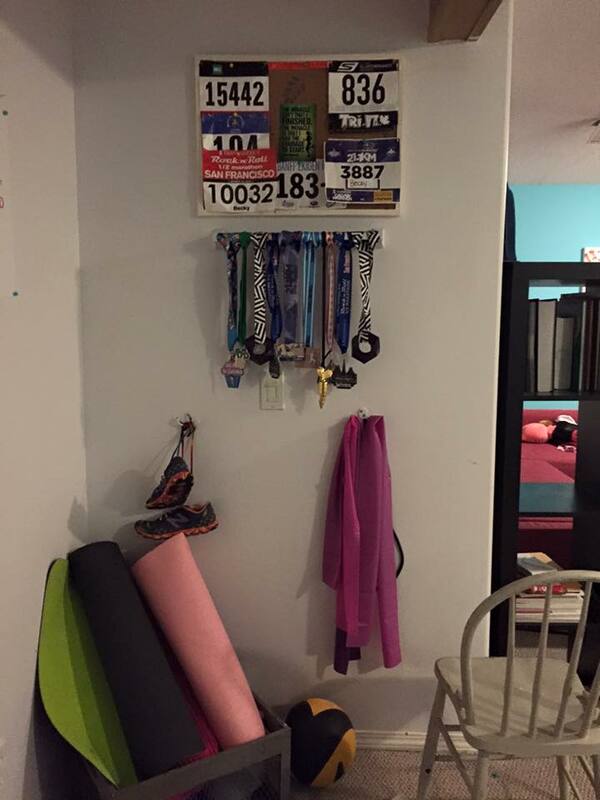 On this wall hangs my medals, bibs, skipping ropes, resistance bands and the shoes referenced earlier on. 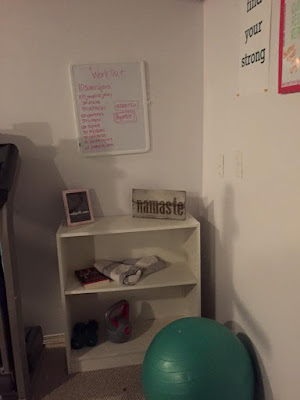 They mean so much to me that I hung them up to inspire me when I have lost my mojo and need to remember that I once went from nothing to running half marathons and that is a big deal and that I can do this and anything else that I set my mind to do. And I can't wait to tell my girls about my journey when they are older and I have these shoes to show them. This is where I store my weights, kettle bell, some decor (thanks to the fit lift for the amazing quote in the pretty pink frame. I am an unstoppable warrior), the namaste sign was made by a lady who lives just outside the city. I love it and it fits perfectly. Above is where I write out my workout for the day. I sometimes get lazy and just use my phone but I have been getting better and putting them on here. What's the difference you ask? I tend to get distracted by my phone so I need to keep it on the shelf and play music and not distract me. 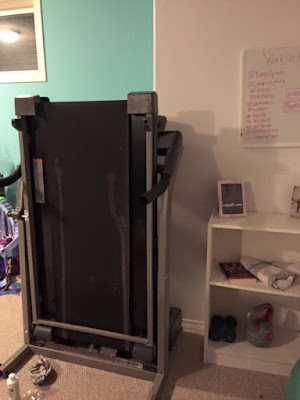 This is my treadmill and we seem to have a love-hate relationship. I can usually get 5k out of it but anything more then that and I seriously want to die. I much prefer outside but at least I have this when I can't get outside. So there is my little workout area. I know it's nothing too fancy but it seems to do the trick for me and the girls use it too when they are down there.